"The so-called Ã’Oscillator" was near to a practical working form when the fire occurred, and as this machine, in a less finished shape, had been exhibited at the Chicago Exposition, and has received a large share of his attention since that time, he has considerately given the public some photographs and details of the more advanced forms of this engine. Tesla's researches and inventions have heretofore been confined to purely electrical problems, and electricians were naturally expecting a continuation of such work, but this inventor appears to delight in surprises, and when the Oscillator was announced for the first time, the general conelusion that Tesla had contrived some way of shaking the earth's electric charge, or had made some other ultra scientific step of a like character, was far from the truth." 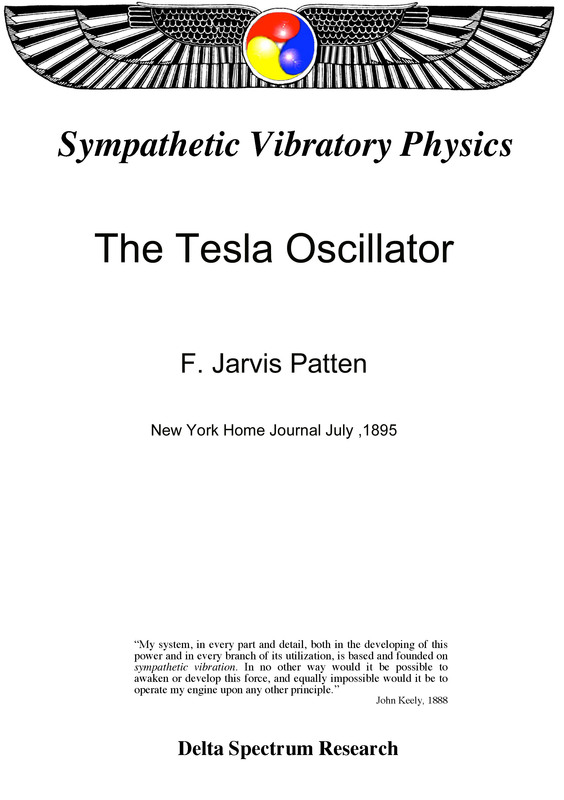 Review of the Tesla Oscillator (earthquake machine) and its significance to science and society. Also gives some detail as to its workings and why it is so important. 8.5" X 11"